Fountain Orthotics and Prosthetics offers the most advanced technology available in the industry. Our skilled, certified practitioners will devise a program customized to suit your specific personal needs. Our practitioner’s primary role is to not only assist the physician in the evaluation of the patients orthotic/prosthetic needs, but to also provide a system that is safe, functional and economical. During all phases of the patient evaluation, fitting and follow-up care, our practitioners provide patients with instructions on maintenance, hygiene, follow-up requirements and pertinent safety precautions. 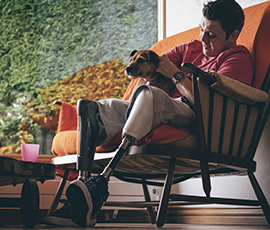 Prosthetics Through computer guided technology, high performance materials and precision fitting, we fabricate quality prostheses that restore function to amputees. 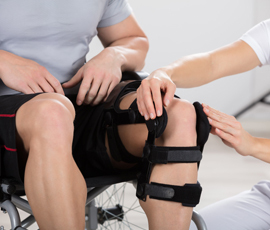 Our light-weight yet rugged orthopedic braces provide the support and protection needed for short term injuries of or for chronic long term conditions. 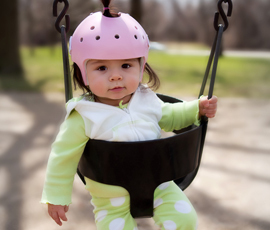 Fountain OP specialists use state of the art technology for evaluation and measurements in order to fabricate a precise custom helmet for the re shaping of an infant’s skull. Scoliosis is an abnormal lateral curve in the spine often times presenting in a C or S shape.